It’s nearly Christmas and that means it is time for families everywhere to pack themselves in to their cars and drive for miles to get drunk be merry and festive with the family members you have barely seen since December last year. This little Glowing family is going to jump in the car and drive for five freaking hours to Albany in what seems like our 734th road trip of the year. 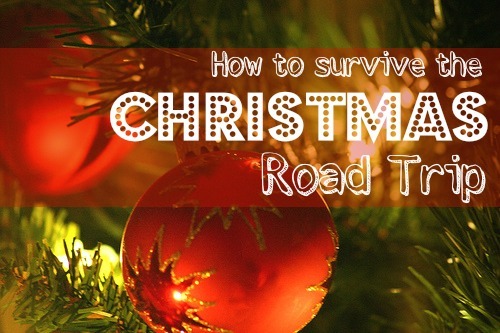 I figured since I’m now a seasoned professional at this family road trip caper I would share my tips and tricks to make your festive season road trip a little easier. Safety and comfort of our kids is important, yes, but those little dudes have luxury, slightly reclined carseats that pretty much mean they’re traveling in the toddler equivalent of business class. So I say think of yourself and your own toosh that will be numb in no time if you go in teeny tiny cramped little car. You’re the one who has to drive this thing and you might as well do it in style, so the car you need might just be the Infiniti JX. Not only does it have sensors and beepy things that tell you if you’re going to hit something, but it has enough seats for a basketball team of children and a huge amount of space for luggage. You can pack all your clothes and pressies and still have enough room for the hefty wine supply needed to get you through Christmas day without wanting to kill anyone. Plus you can say “To Infiniti and beyond!” every time you turn the ignition. I suggest having three separate snack stashes – one for the normal food you want to feed your kid and one with bribes for when you just want them to shut up and stop asking if we’re there yet and playing punch buggy on the back of their brother's head. The third stash is filled with awesomely delectable schnackens and is only brought out when the whiney bastards have fallen asleep so you don’t have to share. Check the map before you go and figure out where all the cool playgrounds are you can stop at. This allows you to be the cool parent that has taken your kid to three parks in one day, but much more importantly the kids will tire themselves out and sleep like the dead on the next leg of the trip thus giving you more time to eat your special snacks and listen to something that isn’t the Wiggles or a screaming child. I like to kick it old school with car trips which means singing, eye spy, spotto and magnetic drawing boards. However after a while they’re often accompanied by the overwhelming desire to stick a plastic spork in my own ear in an attempt to make it all stop. At that point I say a little thanks to all the clever people in the world that came up with portable games and iThings and the clever cookie who put a fancy pants in-car cinema system in cars like the Infiniti JX. What are your top tips for traveling with kids? yes a almost 100k car will certainly make the trip way better lol. even better if you can leave the kdis behind. Although we travelled 8hrs without kids once and will never do that again. So does this mean you're upgrading your vehicle? get someone else to take them.